Last Saturday was my college friend Liza’s birthday. 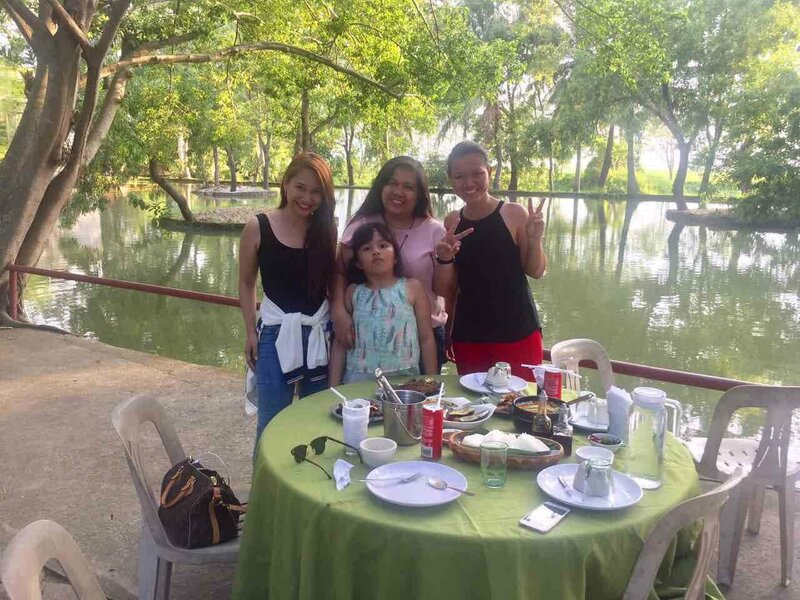 To celebrate it, we had a day trip in Rizal with her daughter Mika and our friend Hanna. 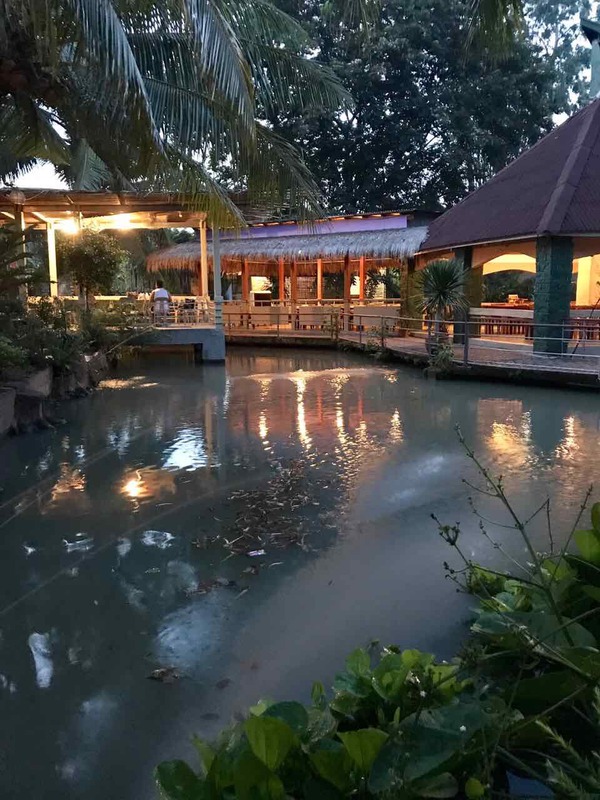 We had lunch in Martessem Mountain Resort, checked out the windmills in Pililla Wind Farm, and had early dinner in Bulawan Floating Restaurant. 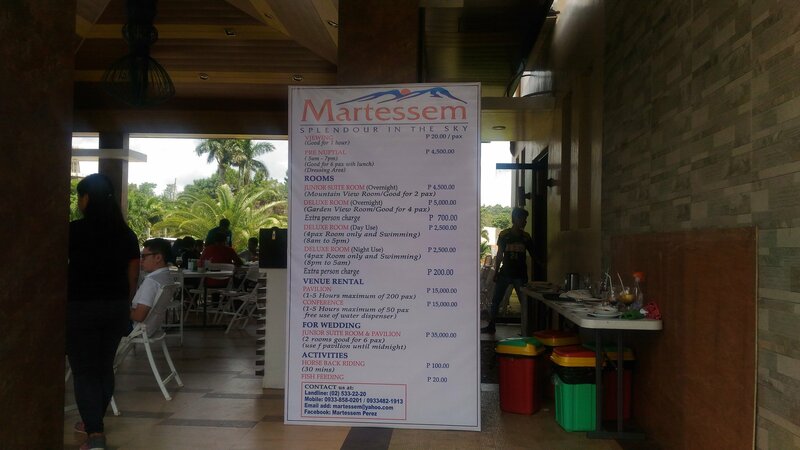 Martessem Mountain Resort is located in Tanay while the wind farm and Bulawan Floating Restaurant are in Pililla, Rizal. 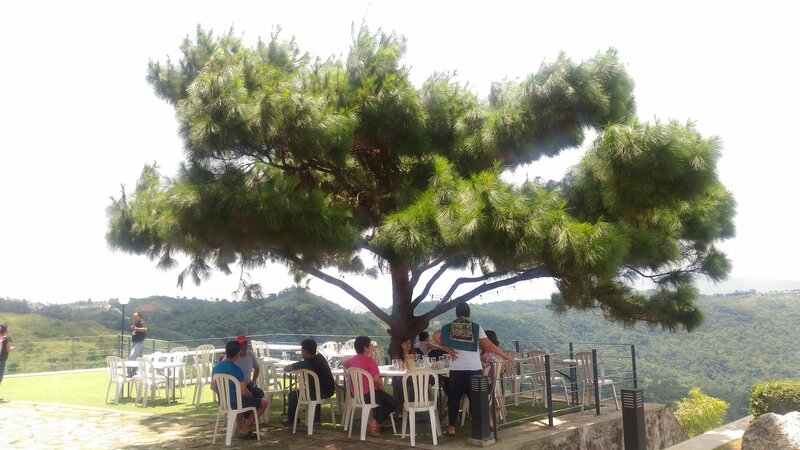 Martessem Mountain Resort sits on a hilltop 2000ft above sea level and is an events venue with guest rooms. It has a swimming pool but it is exclusive for checked-in guests only. It also has a restaurant popular with motorcycle riders. The place has no reception for both Globe and Smart. 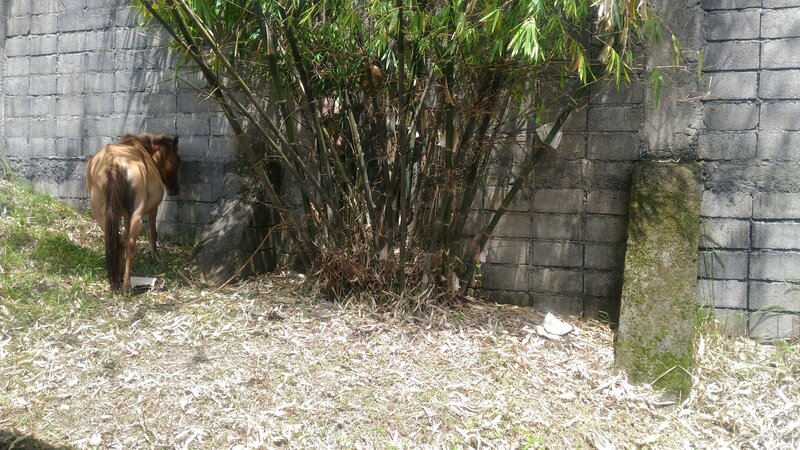 It has large parking space for vehicles. A friend of Hanna recommended the place and told her we’ll see a rainbow. It was a bit humid when we arrived so there was no rainbow and no sea of clouds but the view was breathtaking. The resort is about an hour and a half away from Sta. Lucia East Grand Mall (where Hanna picked us up at ten in the morning) so we were already starving the moment we got to the place. 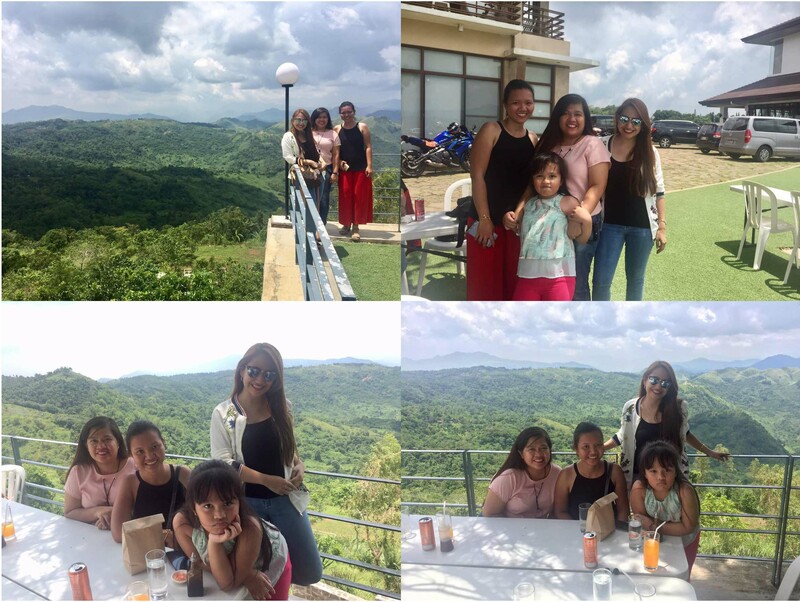 We decided to eat outside so we can enjoy the picturesque view of the Sierra Madre Mountain Range. We ordered bulalo and chicken adobo and Hanna was craving for fries so we also ordered clubhouse sandwich with fries. 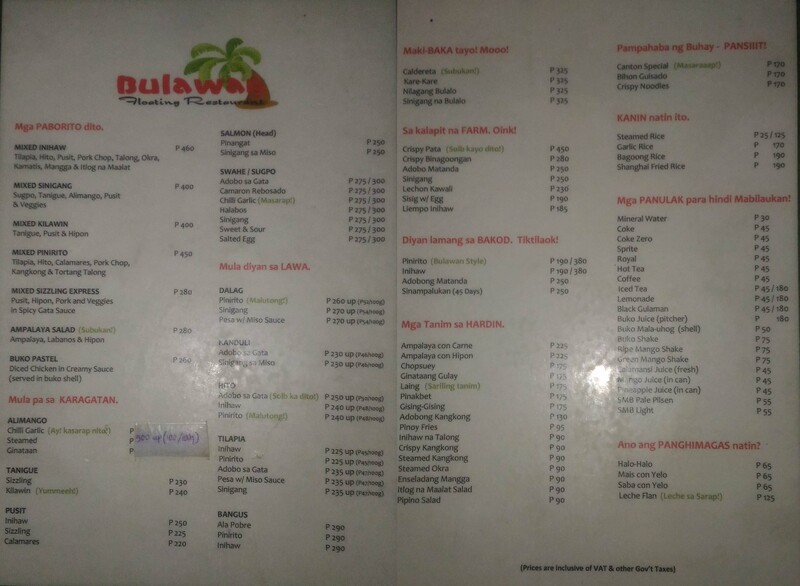 The food was fine, I just find the soup of bulalo a bit bland. 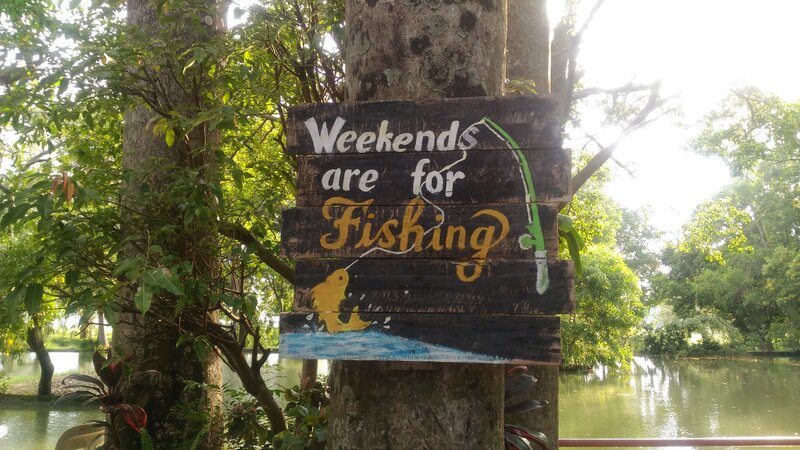 The resort offers horse back riding and fish feeding activities. Horse back riding costs Php 100.00 for 30 minutes while fish feeding costs Php 20.00 per person. 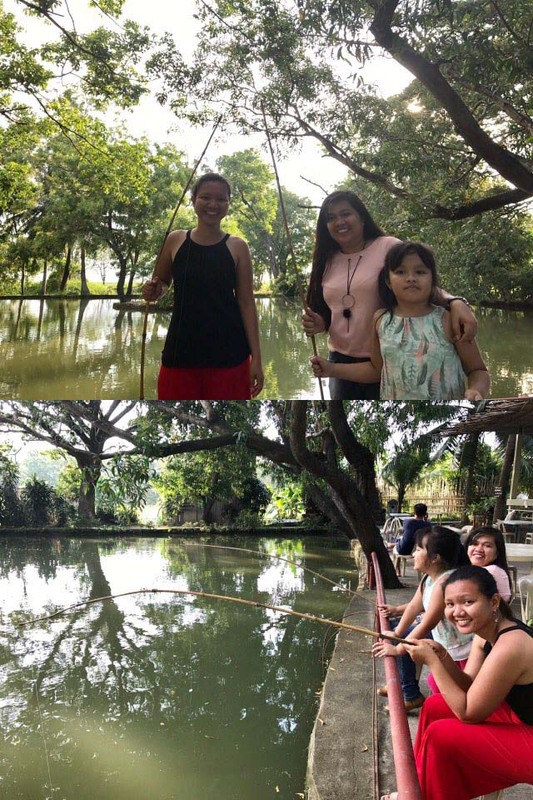 Hanna, Liza, and Mika tried the fish feeding activity. Via Private Transportation: Cruise through Marcos Highway. 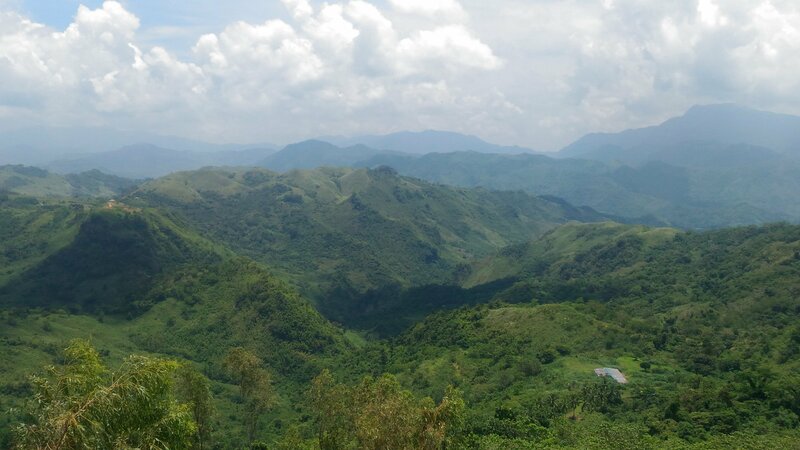 You will pass through Masinag, Cogeo, Boso-Boso Resort, Foremost Farms and Palo Alto. 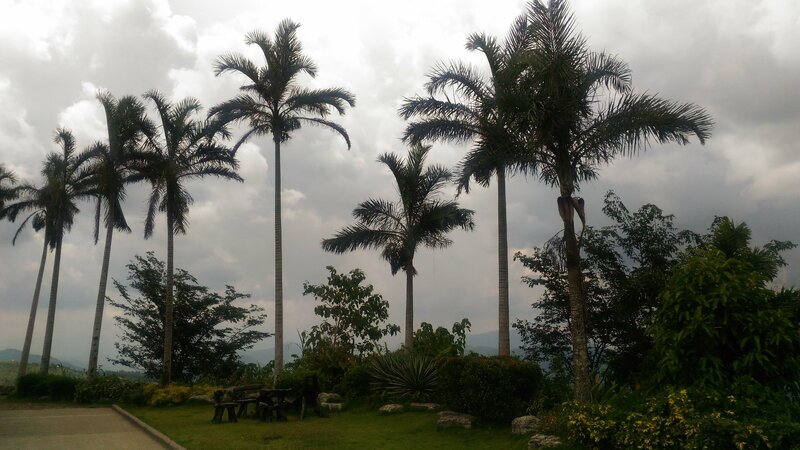 Slow down at Sierra Madre Mountain Resort along Marcos Highway. The entrance of Martessem will be on your left. 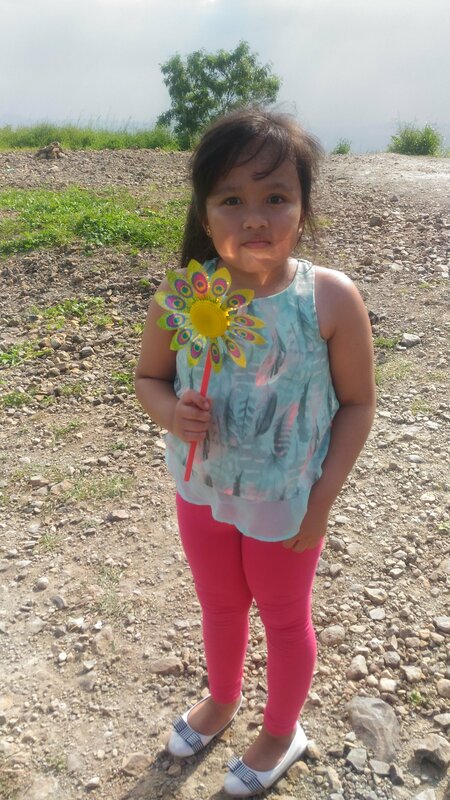 Via Public Transportation: Coming from Santa Lucia East Grand Mall, take a jeepney going to Cogeo Market. At Cogeo Market ride jeepney going to Sampaloc Tanay. 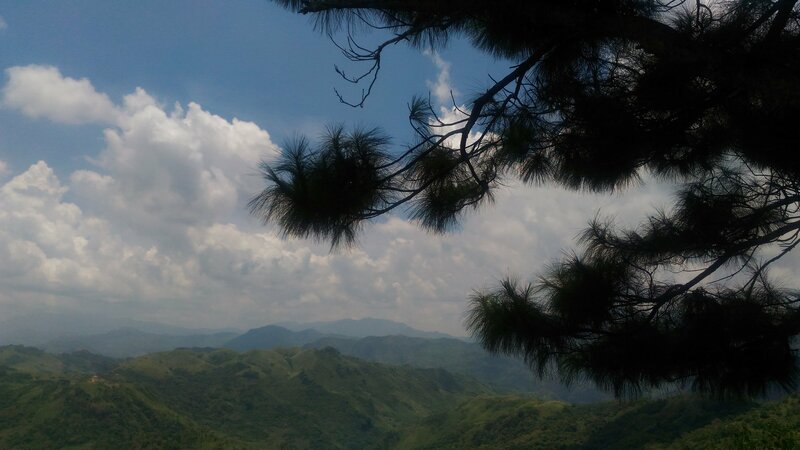 Get off to Mayagay 1 at DOST satellite (KM 58) just after Sierra Madre Mountain Resort. 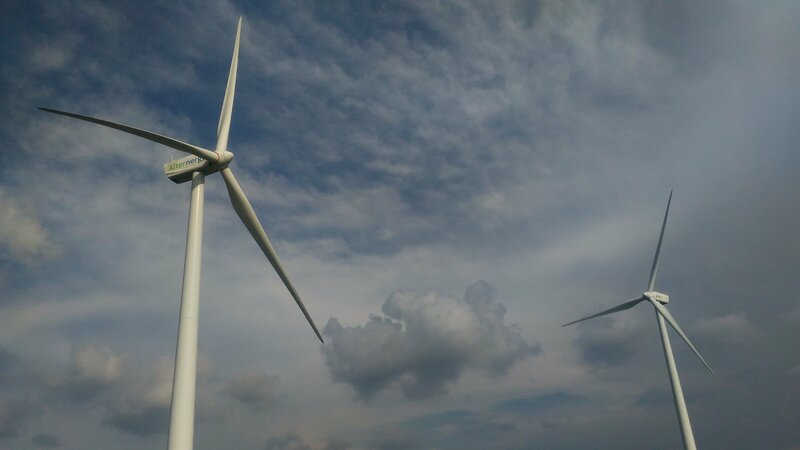 Our next stop was the wind farm in Pililla. It is about 20 minutes drive from Martessem. 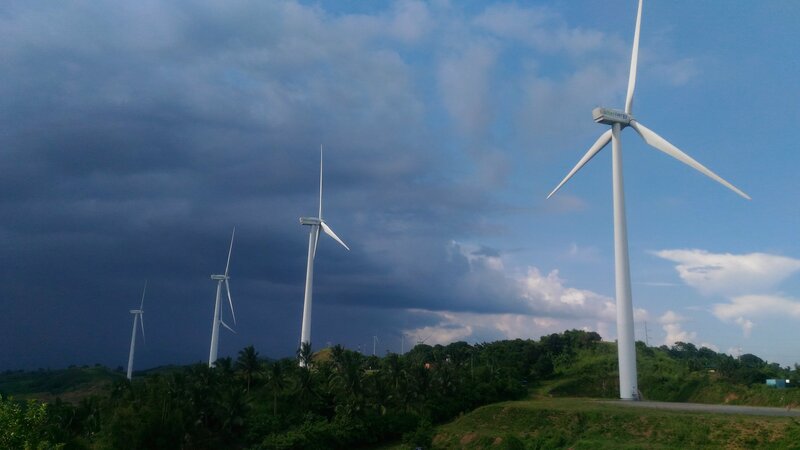 Unlike the wind farm in Ilocos Norte where the windmills are along the shore, the windmills here are on top of the hills. We decided to get into one of the parking lots in the area where there are stalls selling snacks and souvenirs. 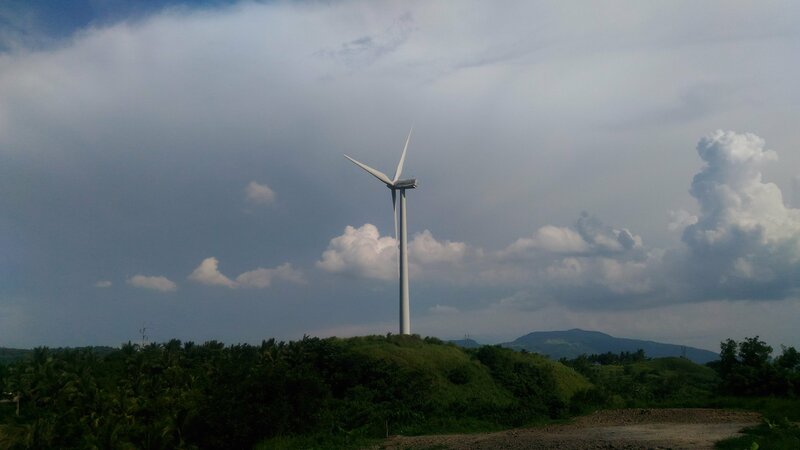 A few meters from it is a hill which you can climb to get a better view of the windmills in one side and the Laguna de Bay on the other side. 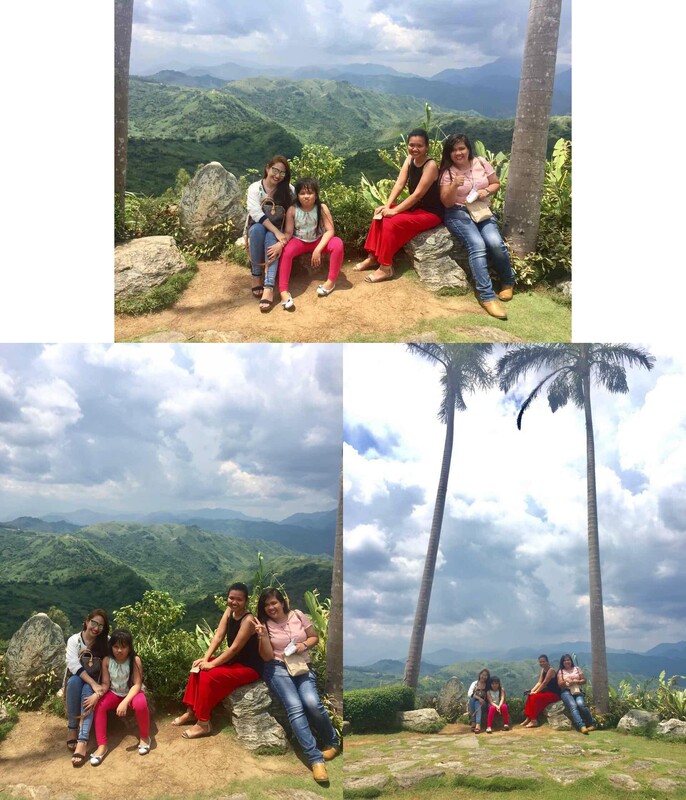 From EDSA, drive to Manila East Road through the towns of Taytay, Angono, Binangonan, Cardona, Morong, Baras and Tanay. Stay on Manila East Road until you make it past Villa Lorenza Resort (should be on your left). 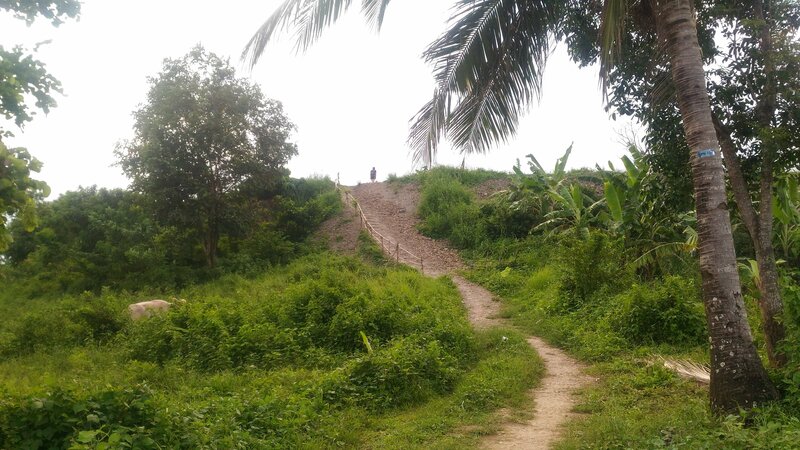 At the fork, turn left (the other road is Pililla-Jala-Jala-Pakil Road). Keep driving until you reach another fork. The entrance should be on your left. You’ll know you’re there when you see a parking lot. From Starmall Mandaluyong or Araneta Center Cubao, take a van or FX to Tanay Public Market in Sampaloc. 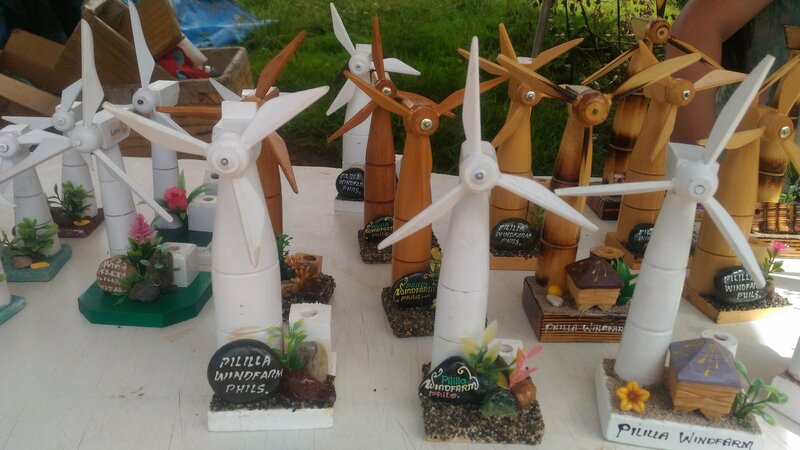 At the market, take a tricycle to Pililla Wind Farm. From Pililla Wind Farm, we headed to our last stop, the Bulawan Floating Restaurant. 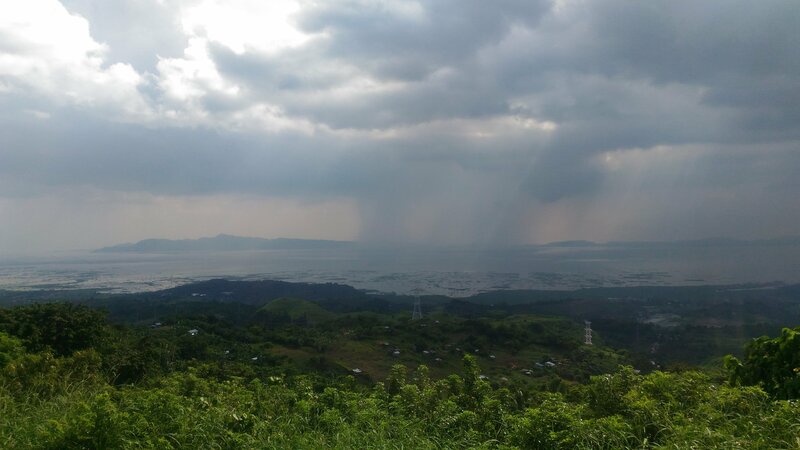 It is located in Pililla, Rizal along Manila East Road. 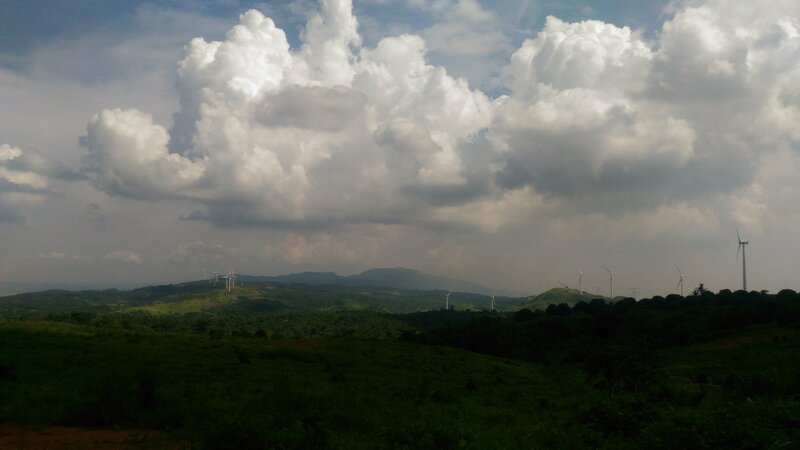 From the road in front of the restaurant, you can get a good view of the Wind Farm on the hills. The restaurant has a very wide parking space. Also, the signal for both Globe and Smart in the area is strong. When my dad saw on Facebook our picture in the restaurant, he told me that the owner, Nora Virrey was his classmate. 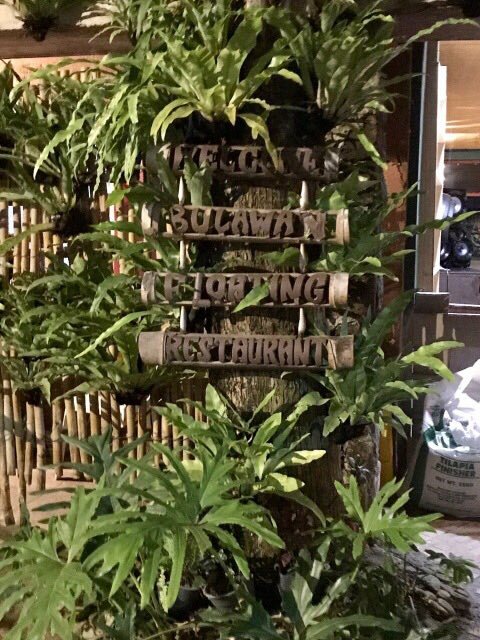 But Hanna told me earlier that the restaurant was named Bulawan Floating Restaurant because the owner’s surname is Bulawan so I researched to find out who really owns the restaurant. 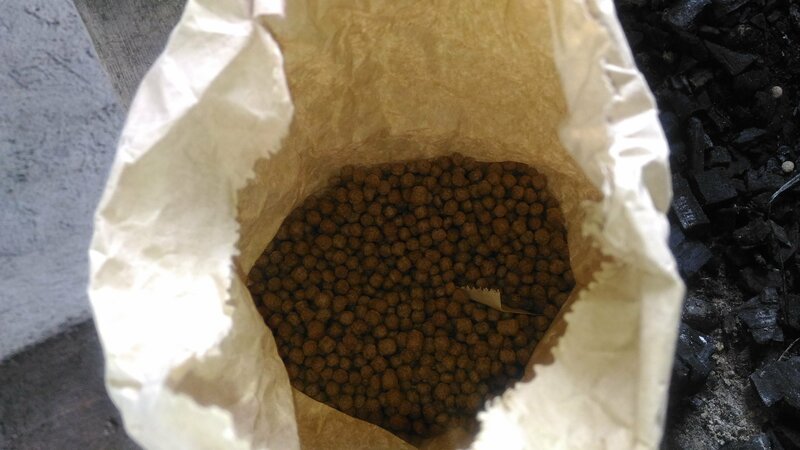 Apparently, the name came from a Visayan word Bulawan which means Gold. 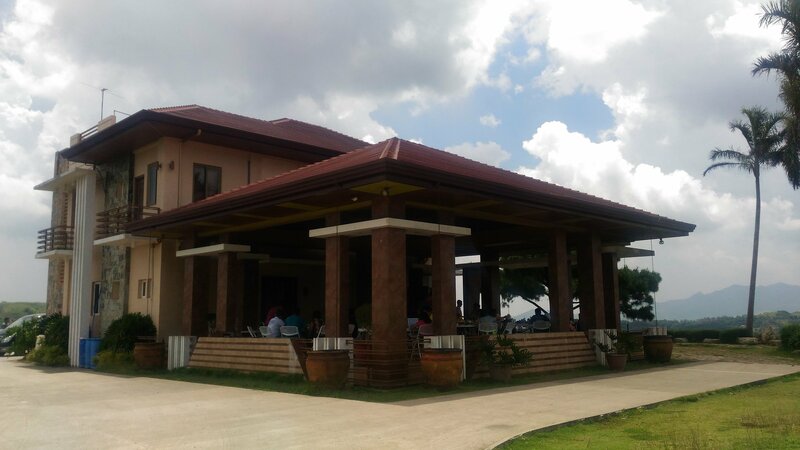 It is a seafood restaurant owned by the couple Joey and Nora Virrey who are both former OFWs. They have been serving good food since 1997. The restaurant is not really floating. 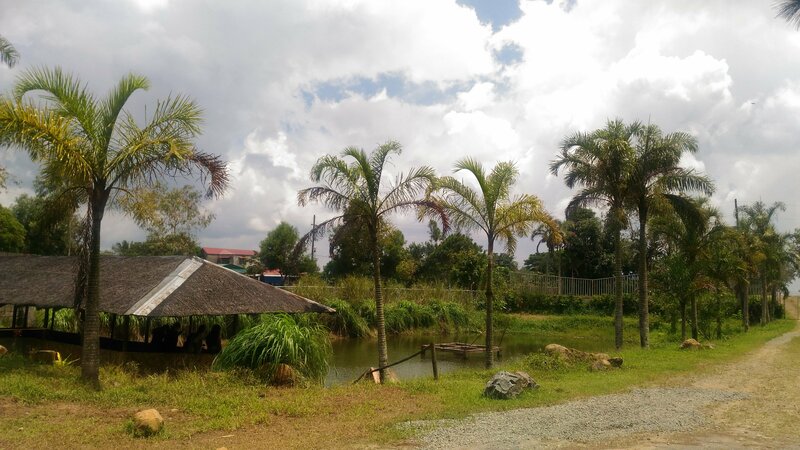 Instead, it is made up of cottages separated by bridges and surrounded by ponds. 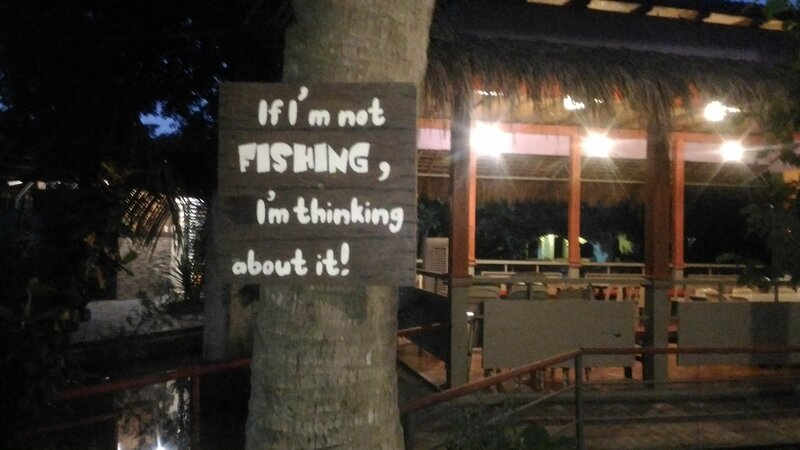 You can do fishing here and for a fee, you have the option to either take home your catch or have it grilled or cooked in their kitchen. 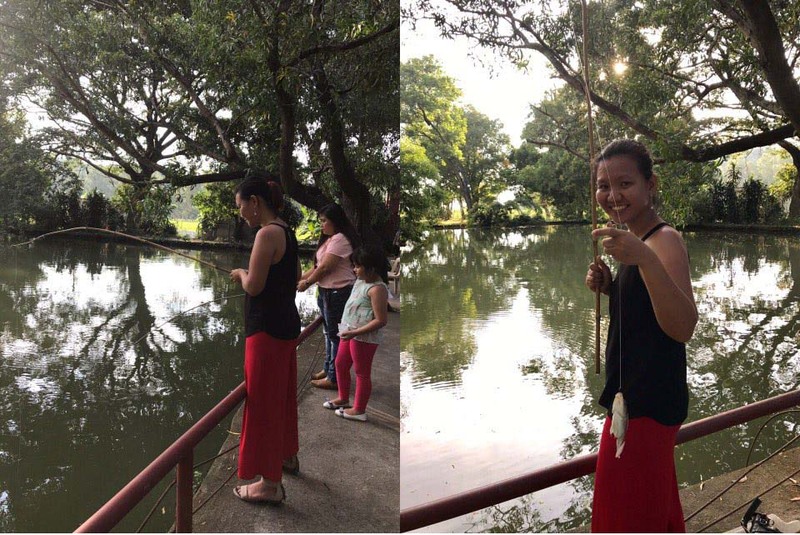 Because I was curious why my office mates back in the mine site loved fishing, I tried it in Bulawan. Fishing is so addicting especially if you are able to catch one. I enjoyed it a lot. 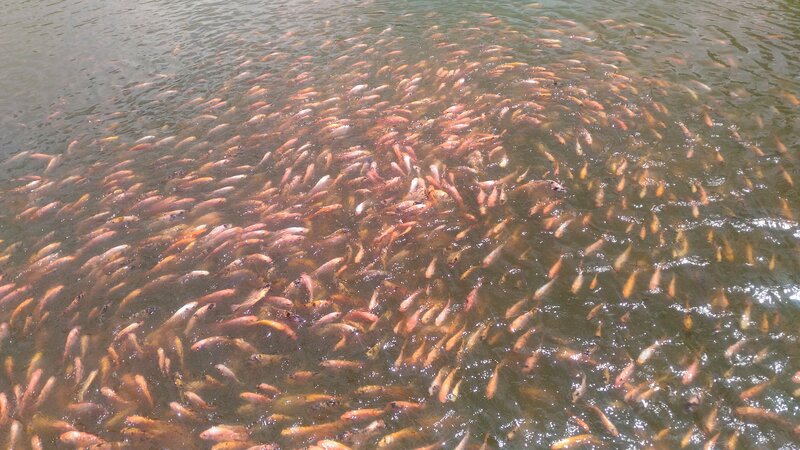 I was able to catch four but we brought the fishes back to the pond after. As for their food, it was very good. 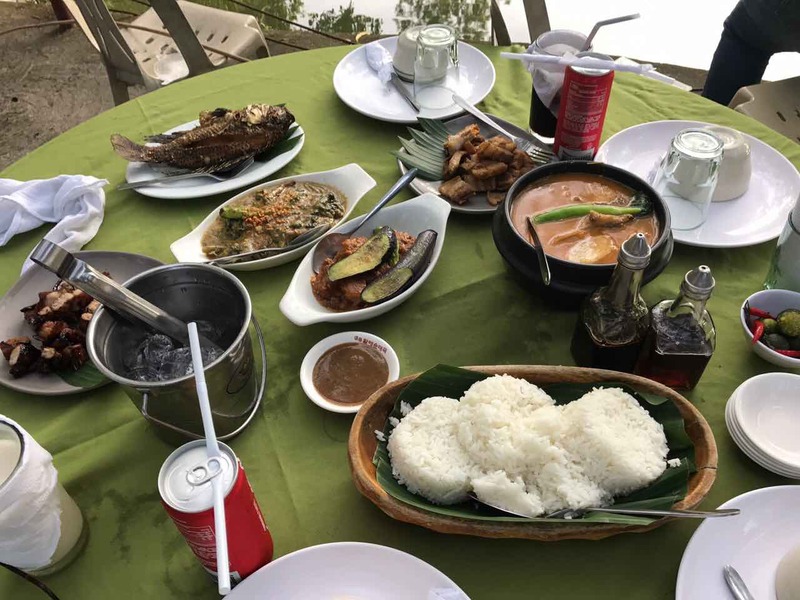 We ordered liempo inihaw, lechon kawali, crispy binagoongan, laing, piniritong tilapia and salmon sinigang sa miso. I really enjoyed the lechon kawali and laing. The price is affordable too. Our bill totalled to around Php 1,700.00, drinks and rice included. We decided to eat outside, instead of staying in one of the cottages. 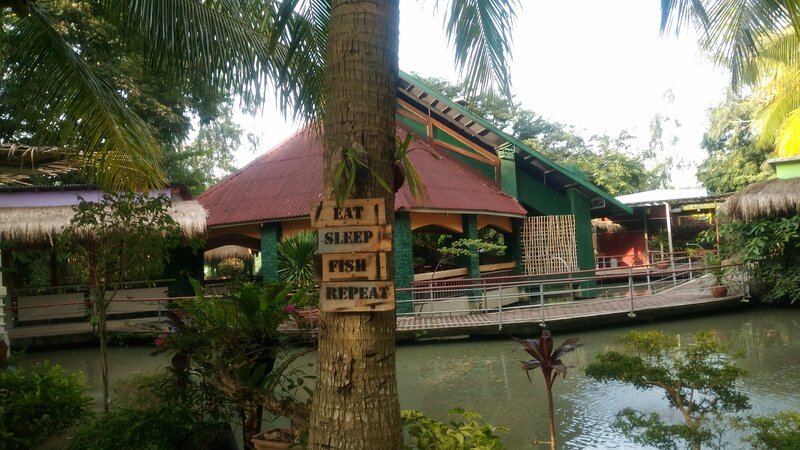 Among the three that we visited that day, Bulawan Floating Restaurant was my favorite. Their food was really good and I enjoyed fishing so much that I forgot to take pictures of the place for this blog post. 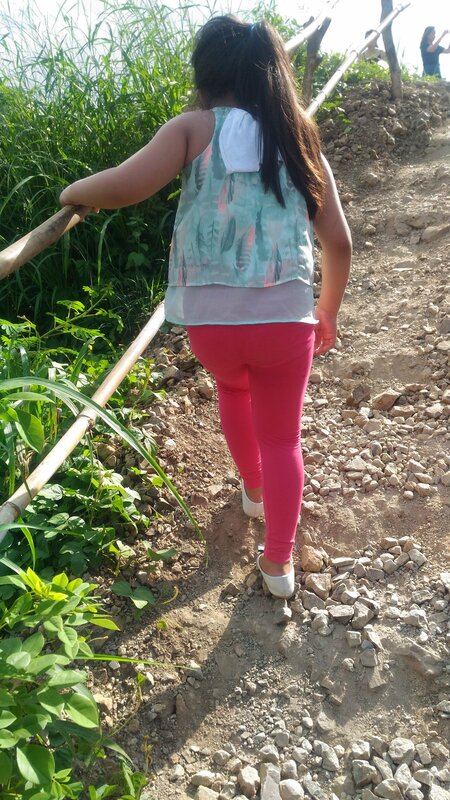 It is a place that I am sure everyone will enjoy, especially the kids. Via Public Transportation: From Starmall Mandaluyong or Araneta Center Cubao, take a van or FX to Tanay Public Market in Sampaloc. 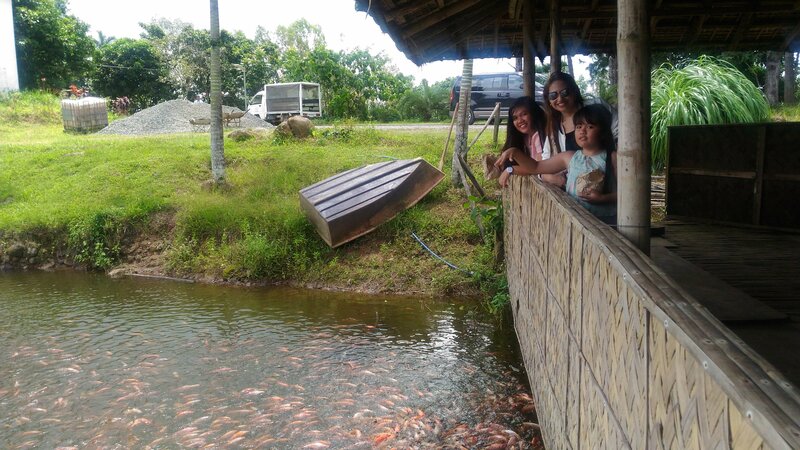 At the market, take a tricycle to Bulawan Floating Restaurant. 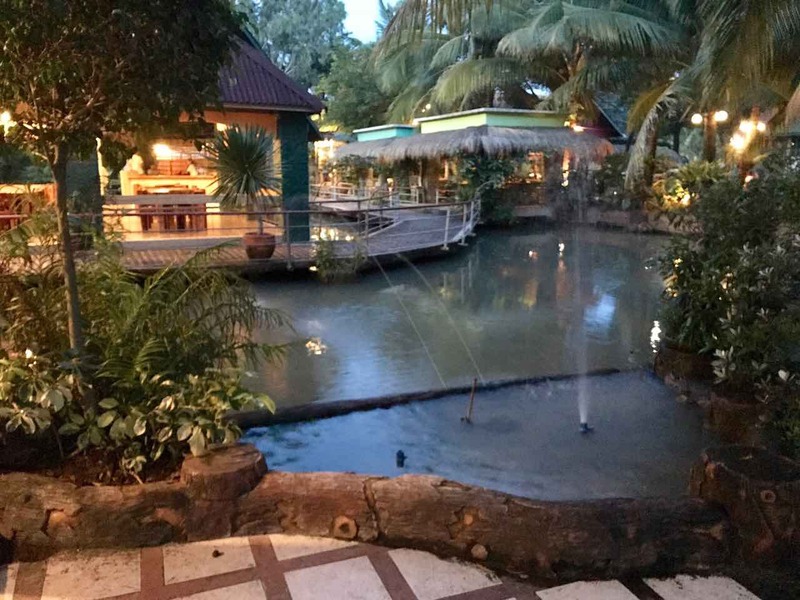 Destinations, Philippines bulawan, bulawan floating restaurant, fishfeeding, fishing, martessem, pililla windfarm, rizal, wind farm, wind mills. permalink. 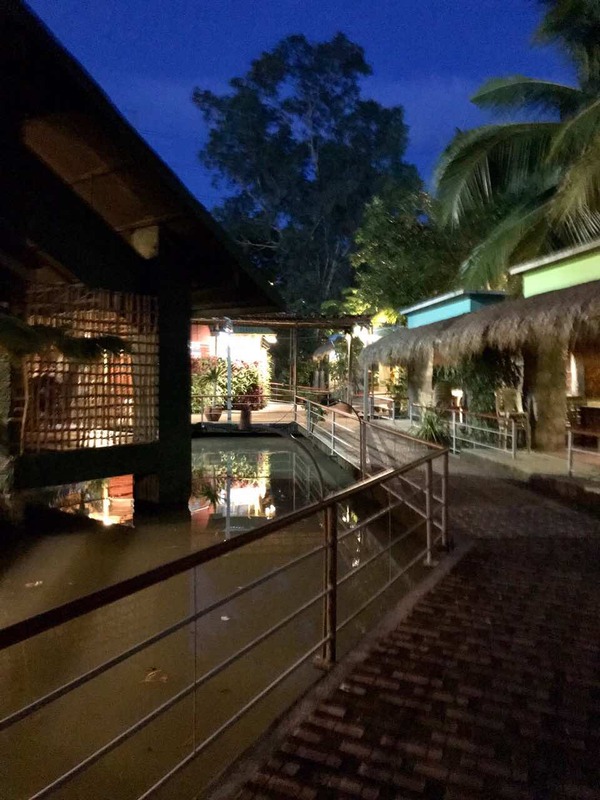 What a lovely view from the restaurant at the Martessem Resort! I’ve driven along that road many times, but never stopped there. I will definitely stop next time. 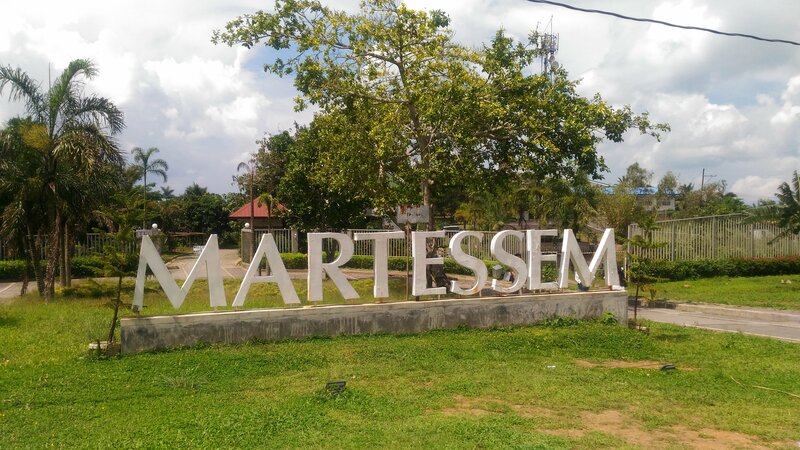 I will always love Martessem Resort!